Two ultra-strong ribs stick out just enough to allow cords plugged in to bend up or down and prevent them from coming in contact with any foreign objects, especially beds. Beds are often moved too close to the wall while being adjusted, raised or lowered. 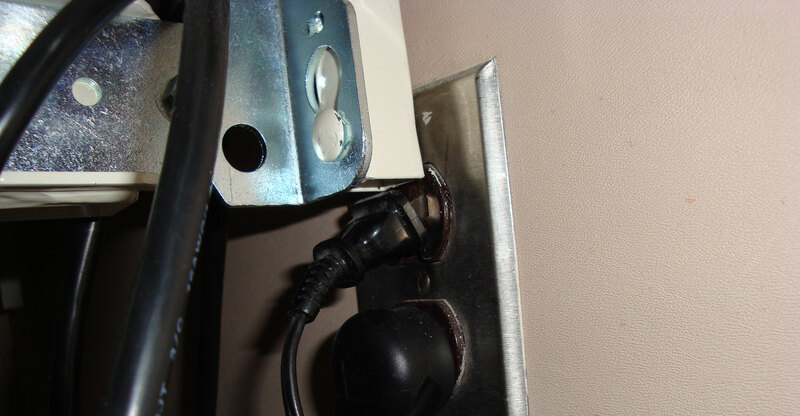 If they come in contact with cords plugged in, outlets, walls and receptacle boxes get damaged. In the worst case scenario, beds directly hit electrical cords, ripping them out, destroying outlets or surrounding items. Beds that come in contact with cords plugged in may bend or remove them. If the metal bed frame comes in contact with the protruding plug, arcing, and electric shock via the bedframe can occur. The DP6200 Guard is designed to lagbolt securly onto the wall and prevent outlets from damage while protecting staff and residents from electrical shock. 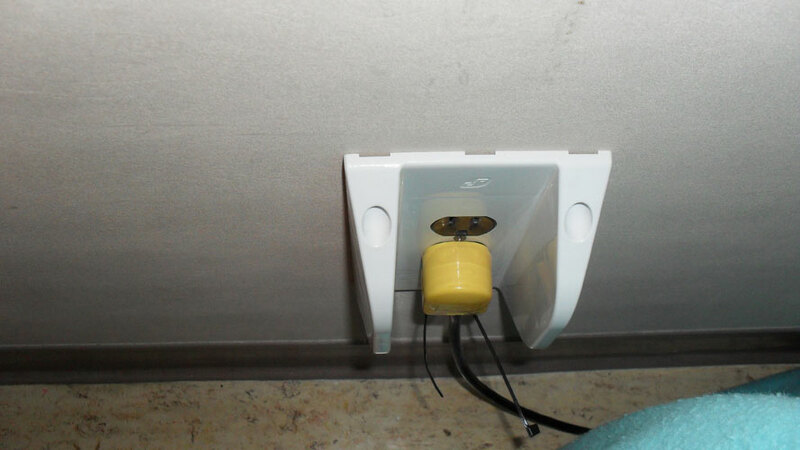 Once the DP6200 is installed, outlets are protected from beds, carts and anything else in the vicinity. Rated for 5000 lb of force from the top / bottom and 8000 lb of force from the side, the DP6200 will do its job. The DP6200 Receptacle Guard protects plugs from unwanted contact from foreign objects. This contact may result in loss of power or physical damage to the plug and receptacle. 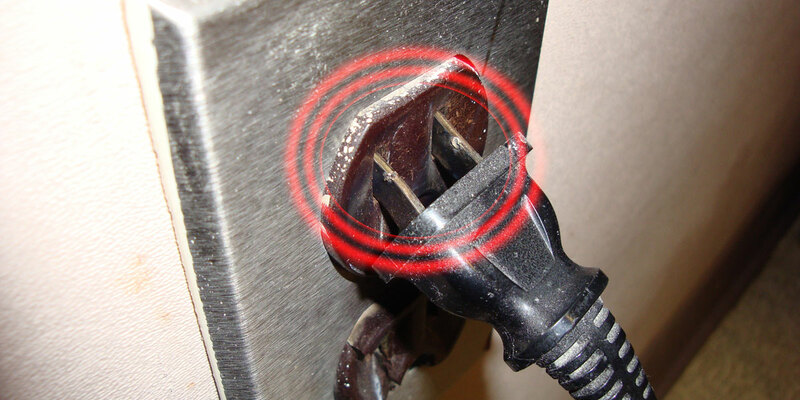 Contact from objects in the vicinity of a receptacle can cause an electrical short inside the receptacle box. This may damage plugs and potentially igniting any combustible material nearby. The DP6200 is securely anchored with lag bolts to the wood or metal stud located directly beside the receptacle box inside the wall. The two protruding rails can withstand the equivalent force of 1500 lb. from the side, 8000 lb. from the front and 5000 lb. from the top and bottom. The sloped rails are designed to deflect objects such as beds away from the receptacle, thus protecting plugs and cords from damage. 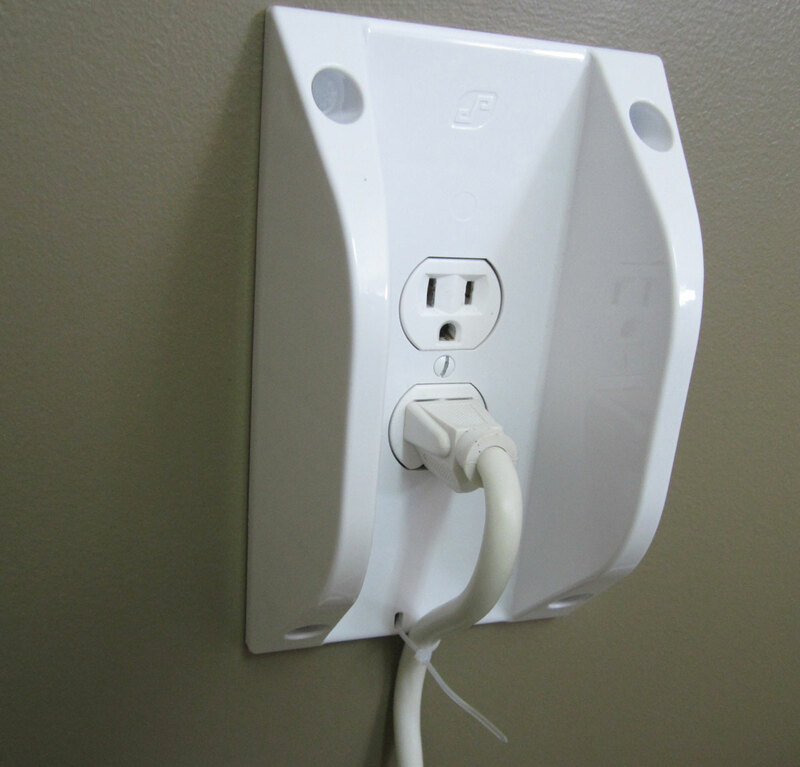 An average care home may replace numerous electrical outlets and receptacles per year. Factor in materials and labor and the DP6200 will reduce costs and time substantially.